8. 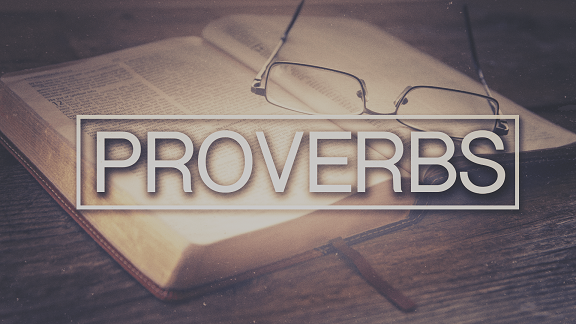 Pro 1:8 - "My son, hear the instruction of thy father, and forsake not the law of thy mother:"
A.	Solomon's son was the intended recipient of this collection of proverbs. i. This verse is the first of twenty-two appeals that Solomon makes to "my son" throughout the book. ii. If Rehoboam was the son to whom Solomon gave his wise instruction, sadly, it fell on deaf ears (2Ch 10:8). iii. Such is often the case with the children of great men, who, not having put in the effort of their fathers, and therefore not appreciating what they have, fail to measure up. B.	Christians face a similar concern with their children. i. This is especially the case for those parents who were converted from a life of sin and error, and thus deeply appreciate the salvation and the knowledge of the truth that they have in Christ Jesus. ii. The children of such Christians, if not properly instructed by their parents, have a high likelihood of not walking in the faith to the same degree, if at all, as their faithful parents. iii. This happened to the generation of Israel that followed those who had experienced the mighty power of God which brought them into the promised land (Jdg 2:10). C.	This is why God instructed the fathers in Israel to teach their children the law of God, that they forget not the LORD (Psa 78:4-7). i. This principle is still incumbent upon Christian fathers today who are to "bring [their children] up in the nurture and admonition of the Lord" (Eph 6:4). ii. Though this duty of imparting the law of God to children is primarily given to fathers, Solomon here charges his son to not only "hear the instruction of thy father," but to also "forsake not the law of thy mother" (Pro 1:8). iii. Our society has turned this parental precept on its head with most instruction given to children coming from their mothers, and scant, if any, being provided by their fathers. a.	Fathers should be the primary instructor of their children in spiritual matters. b. Why do you think that "Christianity" has been so feminized over the last few generations? c.	It's because most Biblical instruction given to children comes from their mothers, and very little comes from their fathers. D.	This verse implies what should be obvious: fathers and mothers should be instructing, commanding (Pro 6:20), and giving laws to their children. i.	I see far too many parents asking, suggesting, bribing, and begging their children to do what they want them to do. ii. In this generation, a quick stroll down the grocery store aisle will confirm that children are not subject to their parents, but rather "are their oppressors" (Isa 3:12). iii. Is it any wonder that our society is in such a dismal state? iv. Solomon's warning ought to be heeded by all children who should obey and honour their parents in all things (Col 3:20; Eph 6:2-3). E.	Another important lesson from Solomon's words: heed good counsel, even when coming from a hypocrite. i.	Solomon wisely exhorted his son to "forsake not the law of thy mother;" yet he didn't follow his own advice. ii. His mother (Pro 31:1), warned him to "give not thy strength unto women, nor thy ways to that which destroyeth kings" (Pro 31:3). iii. Sadly, Solomon forsook the law of his mother (1Ki 11:4; Neh 13:26). iv. We should follow Solomon's advice, even though he himself did not.